Crazy (and useful) power ups have always been a hallmark of the Mario Bros. series, and the latest entry, New Super Mario Bros Wii is no exception. The items in NSMB run the gamut from useful in all situations to downright worthless in all but the most specialized circumstances. Check out full details on each item in our guide. The 1up Mushroom exists for a single purpose: to give the player another chance at that difficult puzzle or boss fight. You’ll come across these green fungi all throughout your journey through the worlds of New Super Mario Bros Wii, and you’ll burn through them just a quickly. 1up Mushrooms appear in all manner of places, from inside "?" blocks to invisible blocks you will stumble across accidentally. These mushrooms are useful, but don’t sacrifice yourself to get one, it’s the very definition of counter-productive. The Fire Flower seems to show up in every iteration of the Mario Bros. series. It’s as big a part of the game as Mario’s signature mustache. Picking up this incendiary piece of vegetation allows the player to shoot fireballs at will, eliminating most enemies with a single blast. Fire Flower fireballs can also be used against bosses in castles, you will just need to use a lot of them. Jumping on bosses is easier, in most cases. Among the new items created specifically for New Super Mario Bros Wii is the Ice Flower. 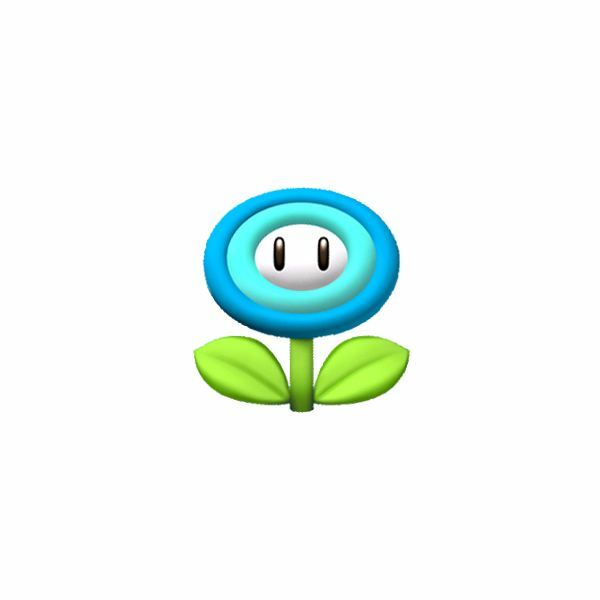 This power up has a similar appearance to another item that should be immediately familiar for fans of the series, the Fire Flower. 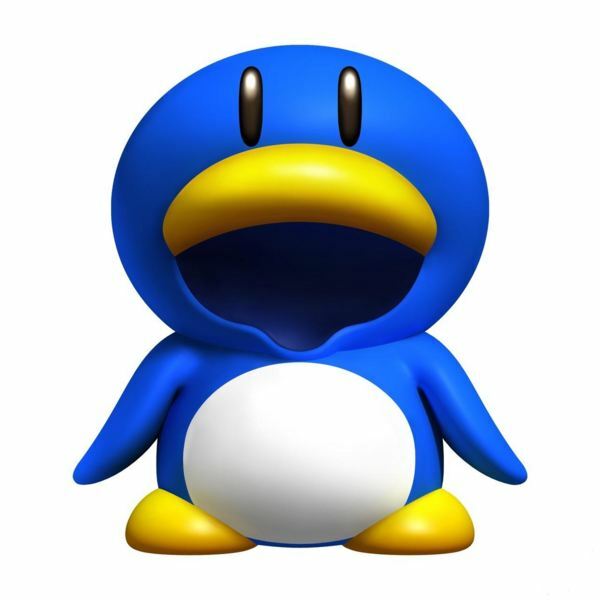 Unlike the perennial flaming tulip, however, the Ice Flower allows Mario (or Luigi, or Toad, as the case may be) to freeze enemies in their tracks instantly. These frozen enemies can then be used as stepping stones to help you reach those high ledges, or they can be picked up with a quick flick of the Wii Remote and thrown at other adversaries. Enemies frozen in mid-air do not fall, so the Ice Flower can literally be a lifesaver on those high-flying levels. A transplant from the original New Super Mario Bros Wii on the DS, the Mini Mushroom does exactly what the name implies, shrinking our hero to minuscule proportions. Mini Mario can be killed in a single hit, so be careful when using a Mini Mushroom. The advantages of the power up, however, far outweigh this drawback. Mini Mario can jump incredibly-long distances, access mini pipes that are otherwise impassable, and run across water without sinking. 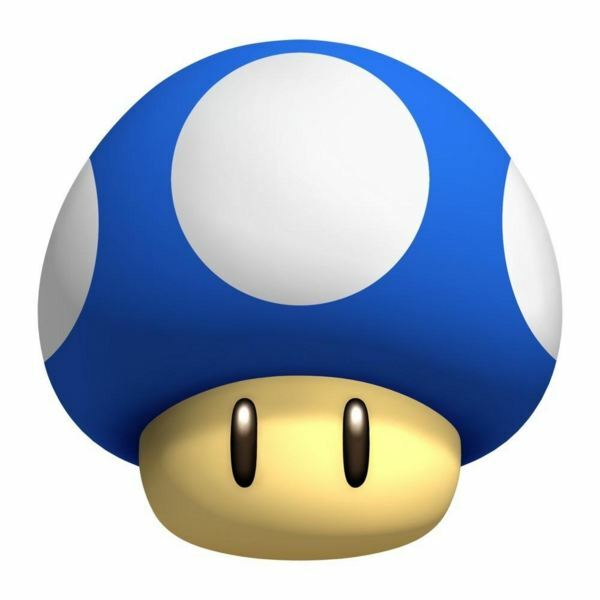 The Mini Mushroom is not the most useful of power ups overall, but it can be a lifesaver in certain specific situations. If you find one in a level, keep an eye out for a nearby mini pipe, as they usually go hand in hand. 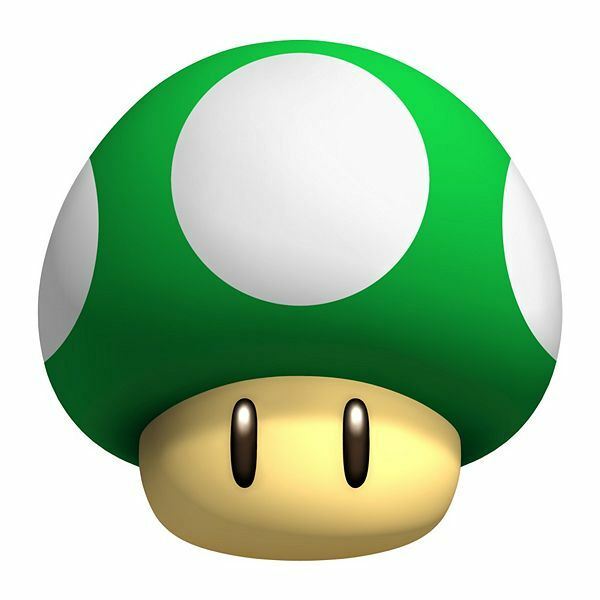 Like the 1up and Fire Flower before it, the plain old Mushroom has accompanied Mario on almost all of his journeys. Eating this powerful piece of fungi makes Mario grow to double his size and grants him an extra chance to be hit by an enemy before dying. You’ll find this power up in almost every level. Don’t go into a boss fight without it. One of the most popular power ups in the Mario series is the Tanooki Suit. This rare power up only appeared in Super Mario Bros. 3, and granted the player the ability to turn into a statue on top of all the benefits (flight, slow fall) associated with the far more common raccoon leaf power up. The Penguin Suit is a similar, albeit more useful, item. When Mario puts on this funny-looking outfit, he receives all the benefits of an Ice Flower (freezing enemies, etc…). The Penguin Suit, however, grants much more. While wearing it, Mario can walk on icy surfaces without slipping, and can slide across surfaces on his belly, taking out any destructible blocks in his path. Certain levels are designed to be traversed this way, with jumps that must be carefully-timed and secret passages that only a sliding penguin can access. Keep an eye out for this power up. It’s one of the most fun in the game, and can be incredibly useful in levels that were created with it in mind. 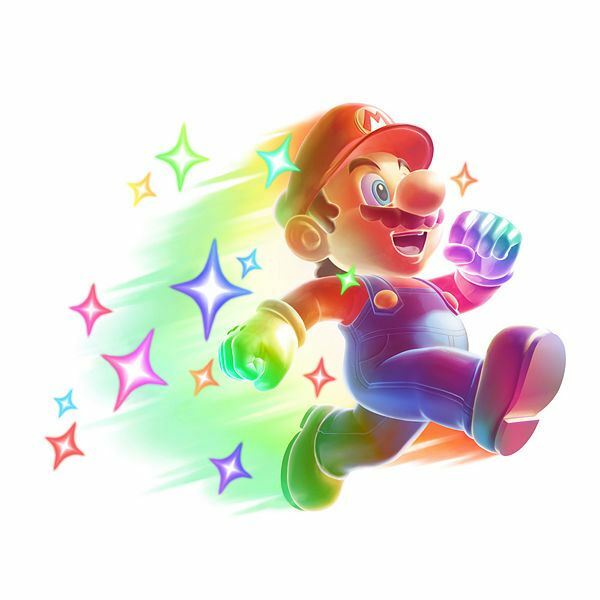 Another greatest hit from Mario’s past, the Power Star grants the player limited invincibility coupled with a temporary run speed boost. Using this miniature celestial body, you can rack exponentially increasing points with each enemy you dispatch. Take out enough of them, and you’ll begin to earn extra lives with each successive creature. The Power Star is useful in most situations, though they’re so rare you won’t get many chances to appreciate them. Most past Mario games have provided the player with some means of flight. Usually, this required some running space or a cannon for the player to be fired out of. Not so with the Propeller Mushroom. Using this power up, players can soar upward with a simple flick of the Wii Remote. The Propeller Mushroom gives such a huge advantage, it almost feels like cheating at times. Use it in any level where you want to reach high platforms that are otherwise inaccessible or keep yourself from falling to certain death with a quick controller flick. 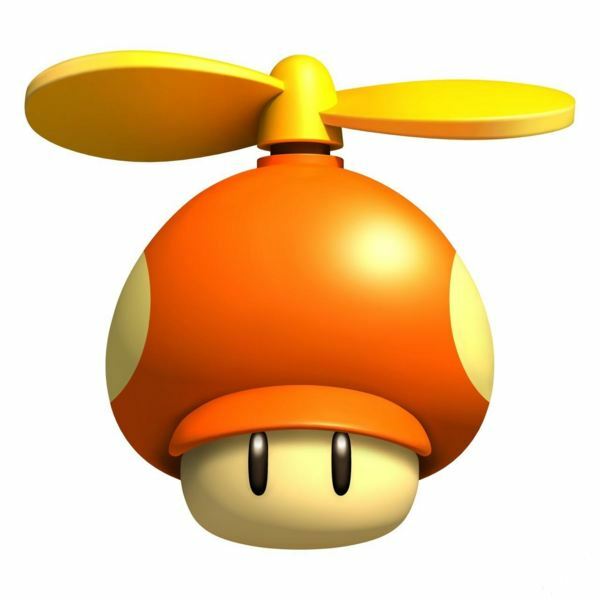 The Propeller Mushroom is useful in almost any situation, it’s really one of the most dynamic power ups in the entire series. New Super Mario Bros Wii is one of the best Wii games of all time. If you’re looking for a leg up on the rest of the game, be sure to check out our Guide to Multiplayer in New Super Mario Bros Wii and our Full Listing of New Super Mario Bros Wii Warp Cannons. A collection of articles about classic Mario power-ups.